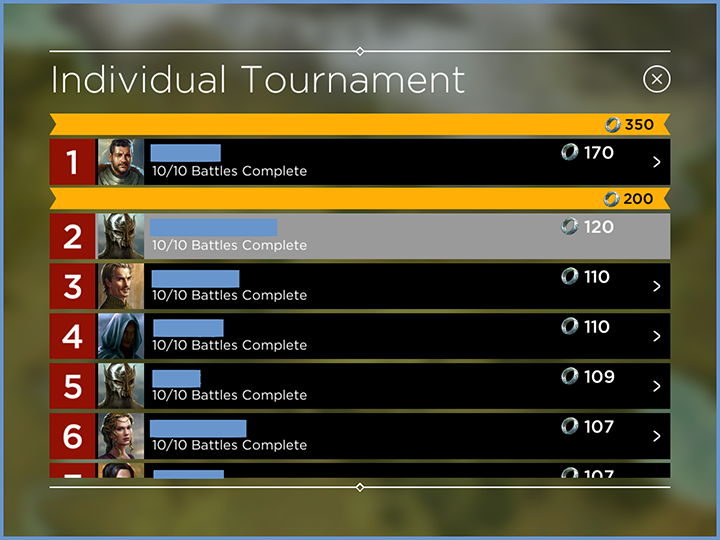 Individual Tournament is a great way to passively earn extra Rings from doing regular Multiplayer battles. 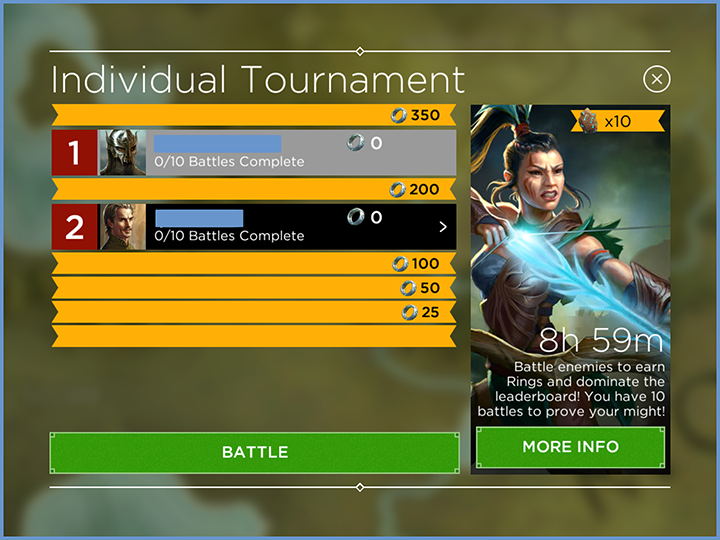 In order to start an Individual Tournament, you must have a Stronghold level 5 or greater. 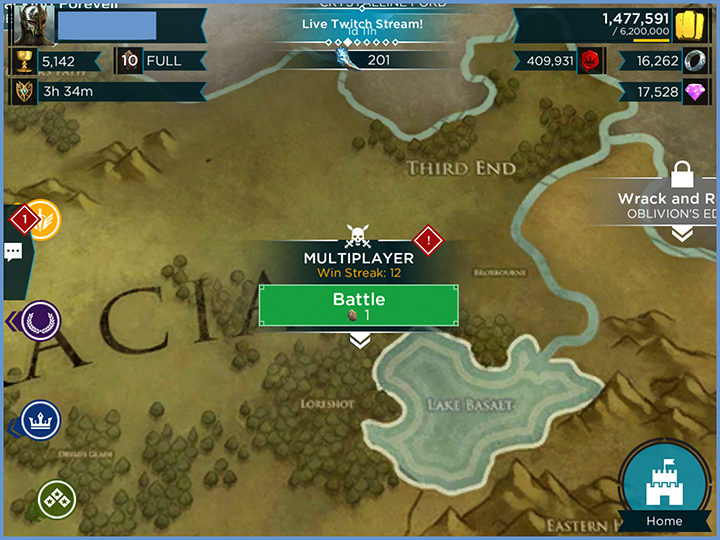 The Tournament can be started by tapping the "start now" button, which is located on the world map. Once you click "START NOW", you'll be entered into a room of up to 50 people with similar Stronghold level. When the first person joins a room, a 9 hour countdown timer will begin. The room will close when either 50 people have joined, or if the countdown timer drops below 6 hours. The leaderboard will show a list of all the participants in the room, sorted by the number of rings they have achieved, and how many battles they have completed. 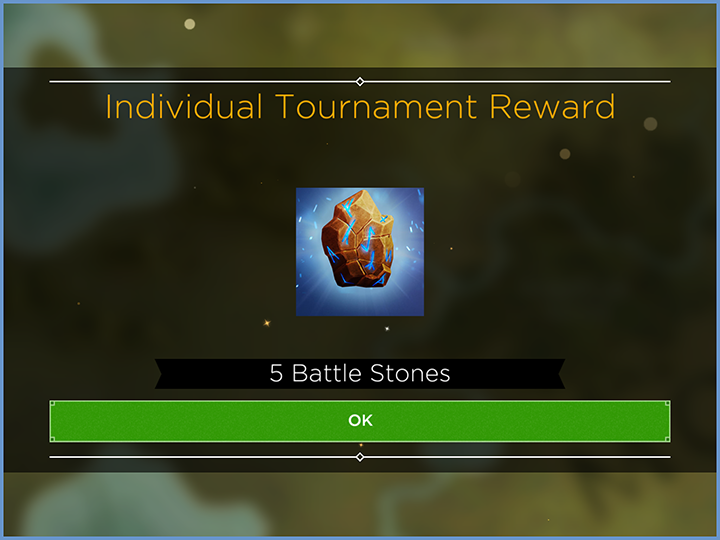 Once you close the leaderboard, you will be rewarded with 5 free Battle Stones to help you during the tournament. 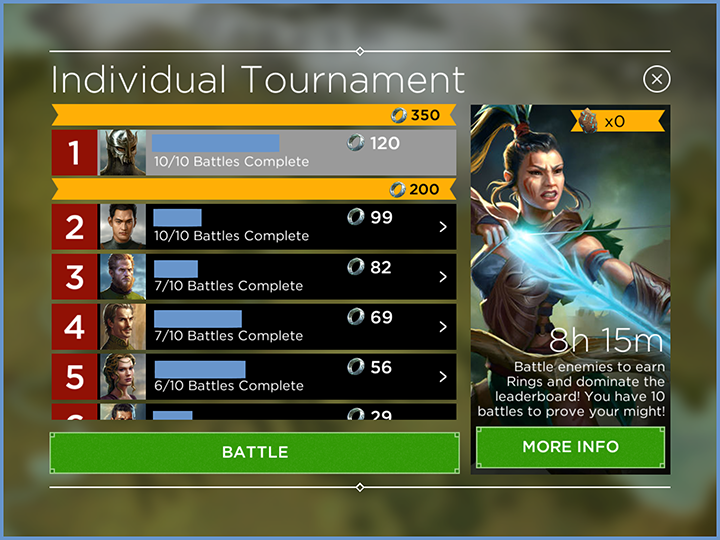 Your tournament progress will also be shown from the map, the tournament button will toggle between the time remaining, and the number of battles remaining. Your next 10 PvP Multiplayer attacks will count towards the leaderboard. 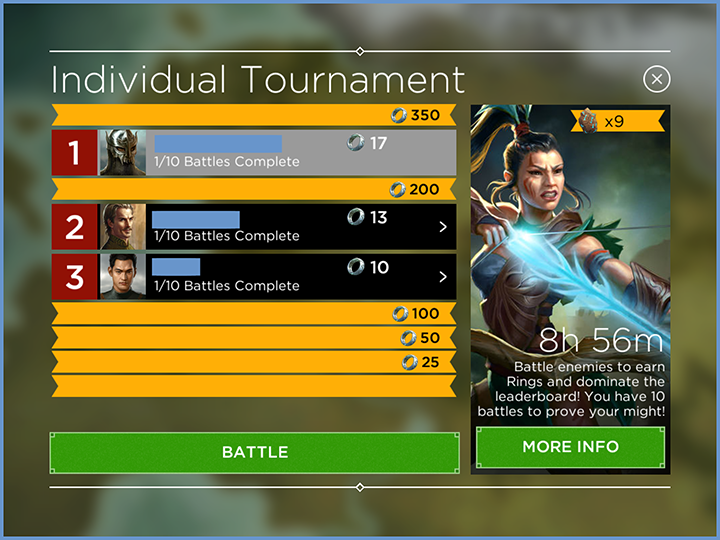 Each battle won will reward you with rings, and these rings will contribute the the leaderboard tally. Losing a battle is worth 0 rings, and counts as one of your 10 attacks. 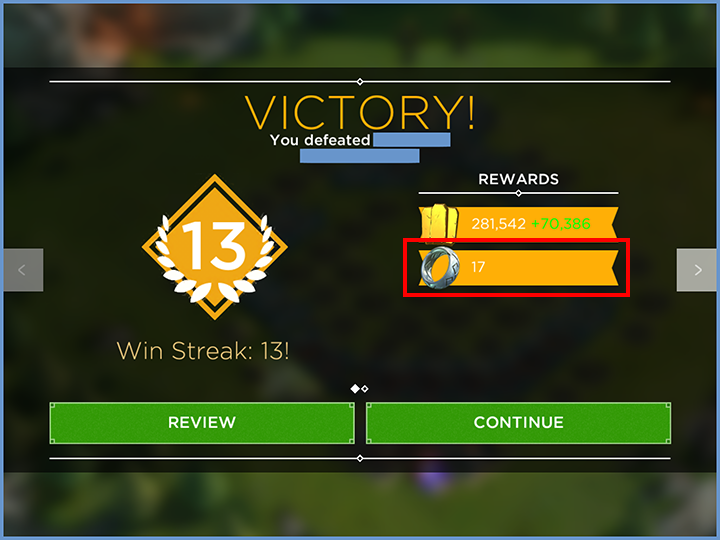 Note: that the amount of rings you can win during battles is dependent of your Stronghold level, and the row streak. 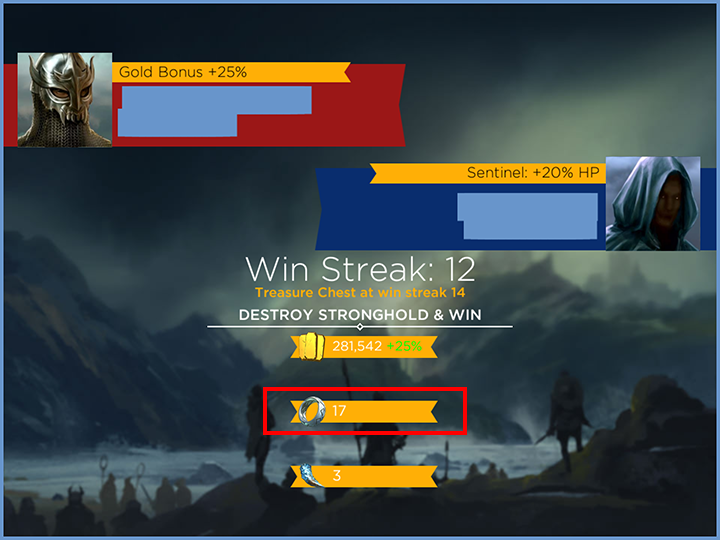 You can look up the amount of rings you can win by Stronghold and row streak from the Multiplayer page. Once you've done your 10 PvP attacks, you must wait for the Tournament countdown timer to end, then the prizes will be rewarded. 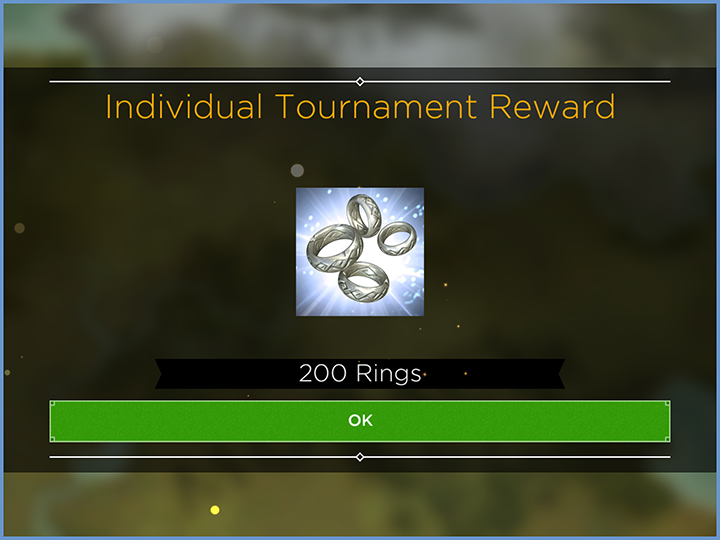 At the end of the tournament, you'll receive your Ring reward. 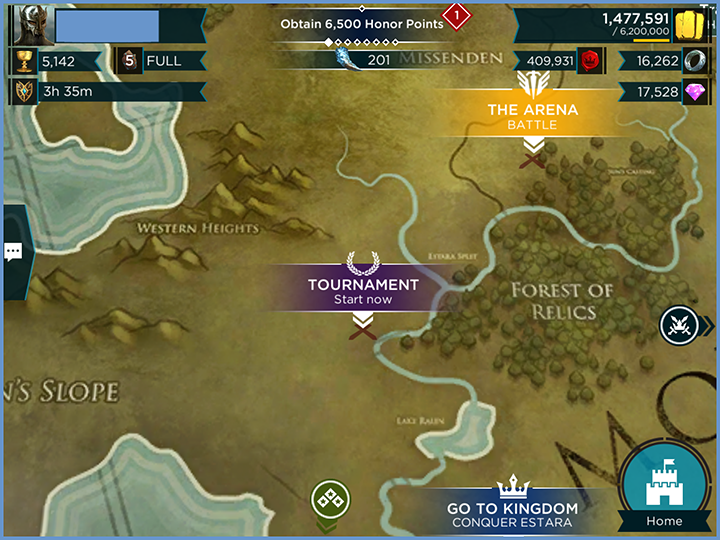 The Ring rewards vary depending on your stronghold level, as well as your position on the leaderboard. 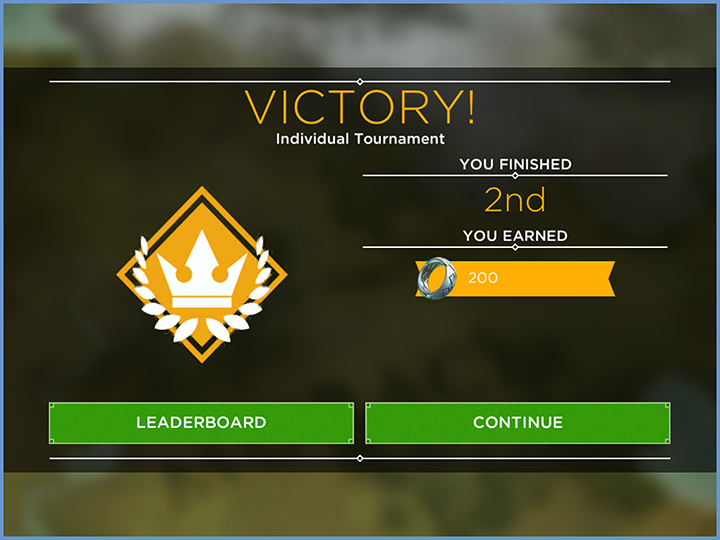 If you finish your individual tournament with a score of zero, you will be marked as a non-participant and will not receive any prizes regardless of ranking. Note: In the event of a tied score, the person who reached the highest score in the faster amount of time will be in the higher position. There are no rewards for a tied position. Only 1st place will receive the 1st place reward. 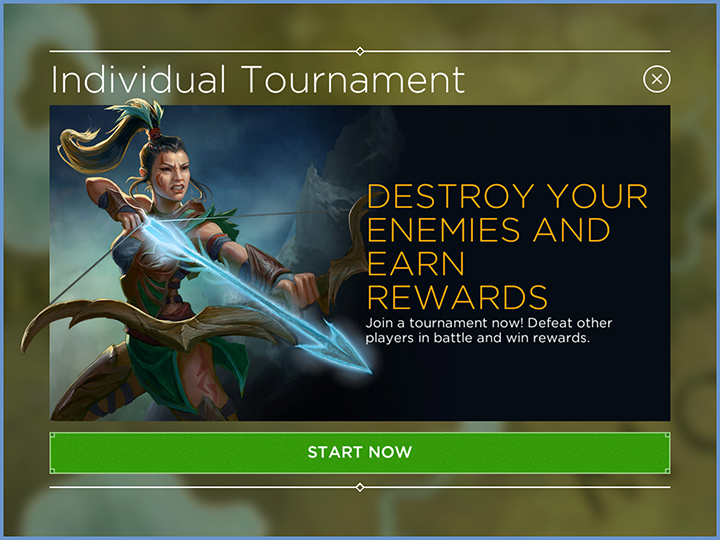 There is a cooldown timer before you're able to start another Tournament, however you can skip the cooldown by spending Diamonds. 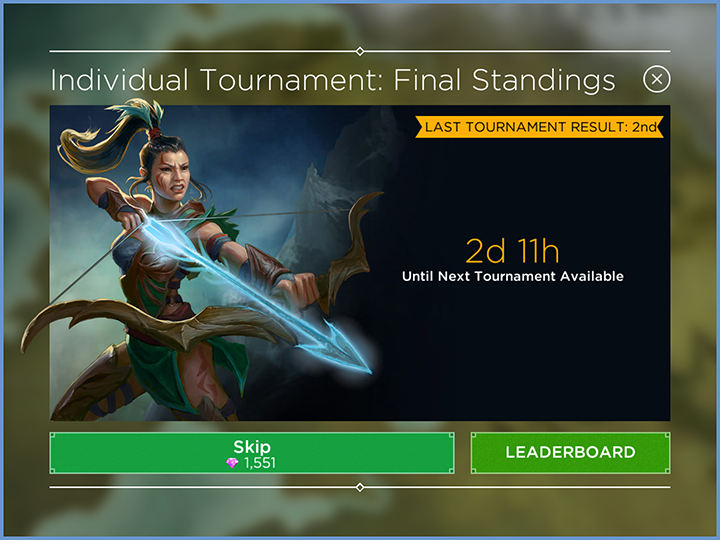 You can check the final leaderboard standings by tapping the Leaderboard button.